Venture out of the city with trips to Gurugram (Gurgaon) (Cyber Hub, Sheetla Mata Mandir, & more). 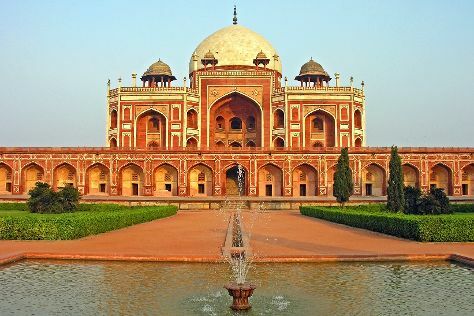 There's still lots to do: admire the natural beauty at Humayun's Tomb, steep yourself in history at Gandhi Smriti, contemplate in the serene atmosphere at Gurudwara Bangla Sahib, and don't miss a visit to Red Fort (Lal Quila). To see reviews, more things to do, maps, and more tourist information, you can read our New Delhi trip builder tool . If you are flying in from United States, the closest major airport is Indira Gandhi International Airport. In December, plan for daily highs up to 73°F, and evening lows to 48°F. Wrap up your sightseeing on the 3rd (Wed) early enough to travel back home.